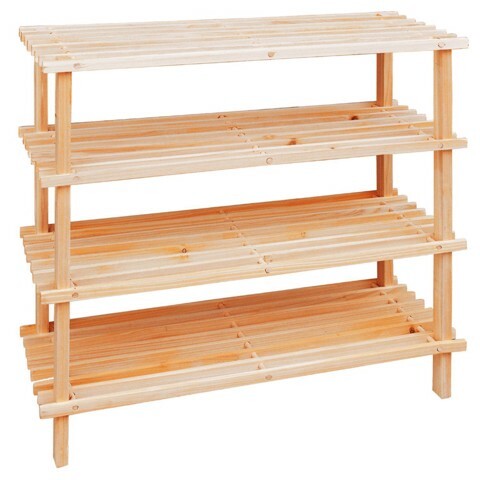 Shoe Rack 4 Tier 64X26X67Cm 2Asst. 64 x 26 x 67cm. Available in Light Wood or Dark Wood. Chinese Fir Wood. 0 Packaging: Shrink with Colour Label.